Need more information about booking Home 7059930 ? 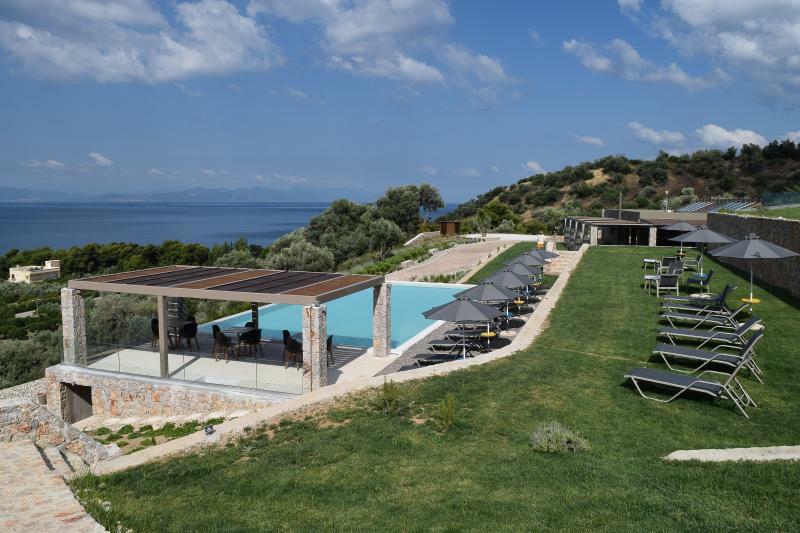 This Residence is surrounded by austere luxury, offer relaxing signed by anatomic Cocomat mattresses, the magnificent view of the North Euboean Gulf and an extensive list of services, so as to meet all needs of our fine visitors. This residence provides Spa , swimming pool , Large showers intermediate cabin , Quality breakfast / Fresh ingredients / Excellent dinner , Sauna , Hammam , Beauty Treatment (on request) , Boat Trips , Car & Motorbike Rental , Fine Dining Restaurant , Sunbeds and Umbrellas.